Ben Pitre was born and raised in a little town in south Louisiana and knew that he wanted something quite different at an early age. 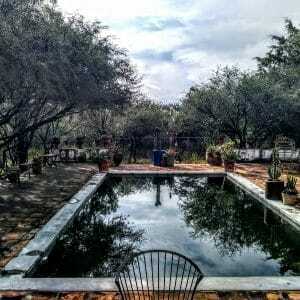 Years later, he found the life he was searching for in San Miguel de Allende. Pitre, who is 63, was born and raised in Jennings, Louisiana, halfway between New Orleans and Houston. He left in 1972 to get a bachelor’s degree in economics at Louisiana State University in Baton Rouge before trying his hand in the local area’s oil and gas industry. Not satisfied with that business, he became a stockbroker in Lafayette, Louisiana for nearly six years. But that business also took a nose dive when China and Indonesia began to dominate the wood furniture industry. Pitre liquidated his business in 2001, packed his bags and headed south to visit friends who ran a B&B in Chiapas. 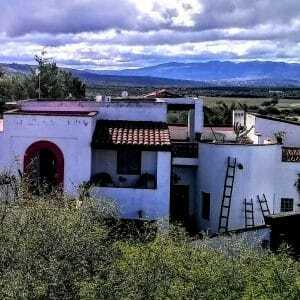 When he arrived in San Miguel de Allende in the fall of 2002, Pitre spent the first few months studying Spanish before jumping in to home remodeling. The home renovation bug is still not out of Pitre’s system, though. About 10 years ago, he bought a 7,000 sq. ft. seven-bedroom and five-bath hacienda-style home in the country about eight miles from city center on the road to Dolores Hidalgo. In the deal, he was able to purchase two homes on three hectares (over 300,000 sq. ft.) of land for about US$450,000. 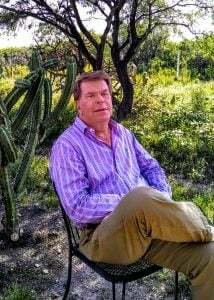 Pitre said expats have many home purchase choices in San Miguel. Fewer are buying in the city-center and opting for homes a bit farther out, a 10-to-20-minute walk to the Parroquia. San Miguel de Allende is a city of about 175,000 people, although it swells seasonally when tourists arrive, attracted by the city’s charm and the numerous awards it has received for being one of the best cities in the world to visit. Because of San Miguel’s popularity with visitors, traffic in this hilly city can be a challenge, especially during peak tourism periods. But Pitre said local transportation is very good and inexpensive. Most expats struggle with learning Spanish and Pitre is no exception, even though he has lived in Mexico for almost 15 years. 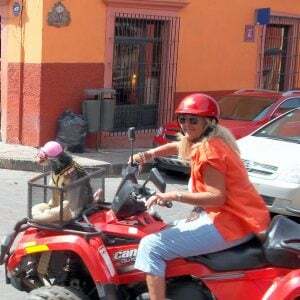 One of the attractions of Mexico for expats is the much lower cost of living, although San Miguel, as well as most other tourist-destination cities in the country, tend to be more expensive than less-traveled paths. Pitre said his expenses, considering the size of his home, are very manageable. Pitre has made San Miguel de Allende his home for life because of its wonderful sense of community.